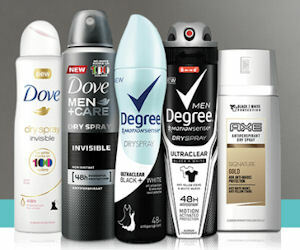 Get a free full-size Dove or Degree Dry Spray Deodorant from Walmart! You MUST watch the entire video and then the 'Request Sample' button will be clickable. Click the button and fill in the form to get the free dry spray of your choice! Allow 6-8 weeks for delivery. Hurry, available while supplies lasts.